Administrative Reform Minister Kyriakos Mitsotakis expressed opposition on Friday to New Democracy’s apparent plans to bring back into the fold politicians who had left the party in the past and went on to be part of what he termed “populist” parties. 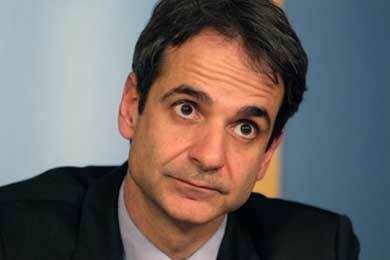 Mitsotakis told Mega TV that he was not willing to sit on the same parliamentary benches as politicians who had called him a traitor in previous years. The New Democracy lawmaker said the conservatives should be looking toward the center ground instead. Mitsotakis’s comments are the first indication of discord with the conservative party after a public discussion about ND’s future alliances began last week. The leader of Popular Orthodox Rally (LAOS), Giorgos Kartzaferis, said Thursday that he is prepared to work with New Democracy, the party from which he was ousted in 2000, to prevent SYRIZA winning the next general elections. Karatzaferis was responding to an invitation extended by ex-LAOS MP and current Health Minister Makis Voridis, who joined New Democracy in 2012. Another former lawmaker who left LAOS to join the conservatives, Adonis Georgiadis, has suggested that other right-wing politicians who quit New Democracy in disagreement over austerity measures should consider returning to its ranks.